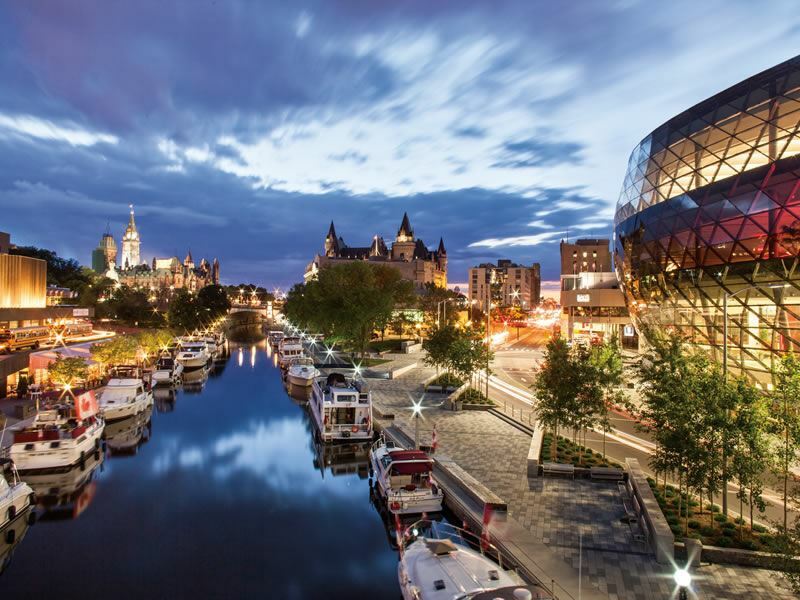 There’s plenty worth getting your camera out for in Ontario - Canada’s second-largest province that’s all big city pleasures and even bigger scenic wonders. We check out the most eye-popping views and sights in this giant slab of land that stretches all the way from the St Lawrence River and the Great Lakes to the frozen shores of Hudson Bay. With a host of towering new players poised to hit the city’s downtown area over the next five years, Toronto is about to get its New York moment in terms of an insanely stunning skyline. Currently, there’s 10 staggeringly huge skyscraper projects in various stages of planning and approval, most famous of which is The One that’s set to be roughly the same height as Manhattan’s Chrysler Building. But as it stands now, most rewarding for camera buffs is the 553.3-metre-high CN Tower - the marvel of 1970's engineering that was once the highest freestanding structure in the world. Head to the intersection of McCaul Street and Queen Street West for the best street-level vantage - or ride the glass elevators to the LookOut and SkyPod viewing platforms for panoramic shots of Lake Ontario. Another essential stop for shutterbugs is the Distillery District - the historic hub that rewards with seriously cool Victoria-era buildings converted into hip galleries, boutiques, restaurants, cafés, and artist studios. Get the shot: The ferry ride to Toronto Island will provide some cracking views of the downtown core. 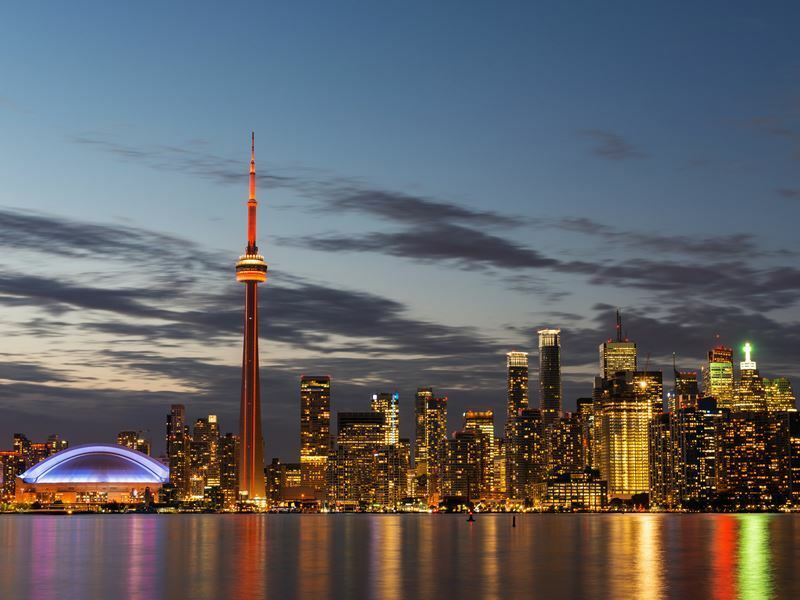 You’ll also get that epic skyline shot from the Flatiron Building, Polson Pier, Humber Bay, The Gardiner Expressway , Riverdale Park, and Leslie Street Spit. It’s hard not to be awed by Thunder Bay - Northwest Ontario’s largest city at the edge of the Lake Superior. Just a short plane ride from Toronto, the Gateway to Canada's Great Outdoors (known as T-Bay by locals) is perfect for adventurers keen to get stuck into ice-fishing, snowmobiling, skiing, horse riding, canoeing, kayaking, cycling, and eco-tours. And while scaling Prince Arthur’s Landing at Marina Park, sailing up close to the lakers and salties on a 90-minute harbour tour, and cruising Lake Superior aboard a DeHavilland Otter or Beaver are all essential detours, nothing beats the Sleeping Giant Provincial Park on the rugged Sibley Peninsula. Here you’ll get some powerful shots of one of Canada’s best-loved oddities - the profile of a giant person sleeping his back in 250-metre-high cliffs. And the legends surrounding this formation of mesas and sills are just as intriguing; mostly the ones about Ojibway and Sioux warriors, a secret silver mine, and a great spirit that turned to stone when the location of the mine was revealed. 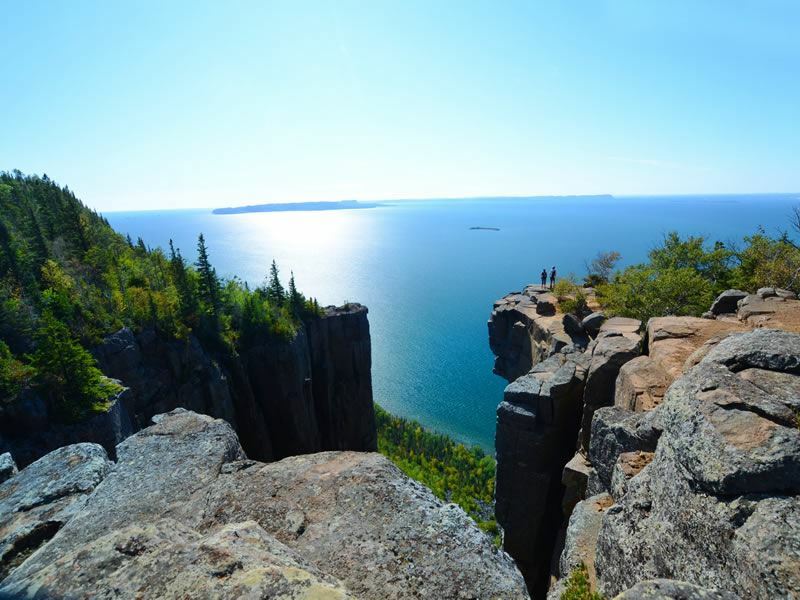 Get the shot: For outstanding images of the east and western shores of both Lake Superior and Thunder Bay, hike to the top of the Sleeping Giant. It’s as vertigo-inducing as it gets, but the visuals will blow your expectations through the stratosphere. 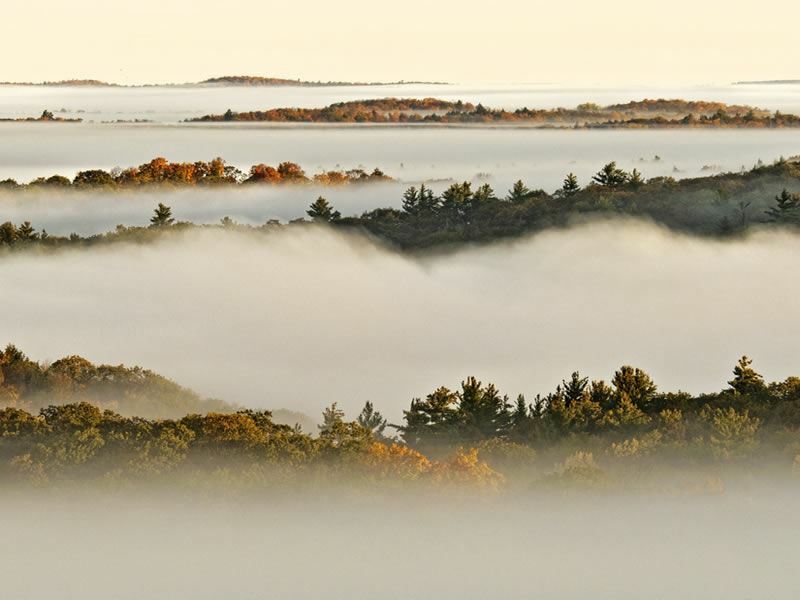 Expect one Kodak moment after another at this 7,800-square-mile outdoor playground in South-Central Ontario - a sublime landscape of maple hills, rocky ridges, valleys, mossy bogs, rocky bluffs, and over 2,000 lakes. 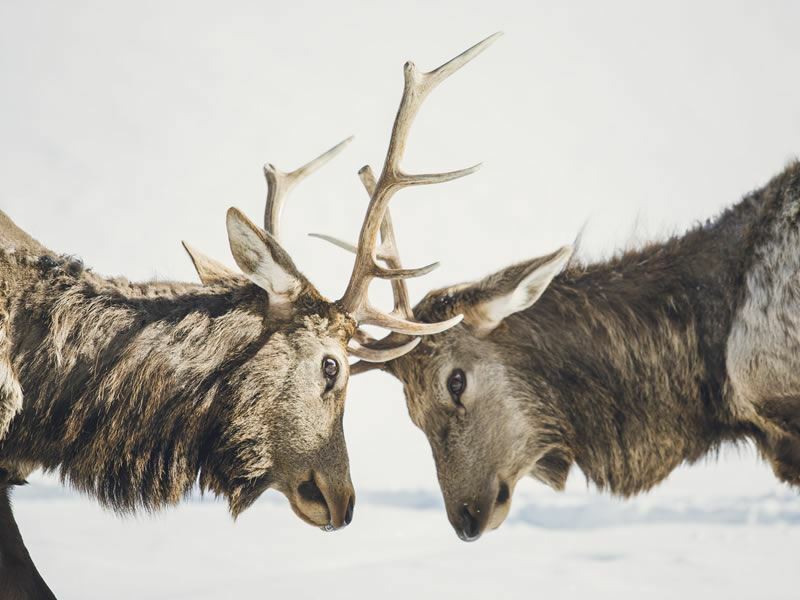 And the wildlife’s not bad either, with over 30 types of breeding birds as well as moose, wolves, bears, beavers, hares, moles, chipmunks, shrews, foxes and skunks among the most commonly sighted animals. While most come here for the challenging hiking trails and 2,000 kilometres of charted canoe routes, other activities and attractions include dog sledding, trout fishing, cross-country skiing, snowmobiling, swimming, snowshoe hikes, guided walks, and an art gallery showcasing works by Canada's foremost wilderness and wildlife artists. The park is open year-round and day passes are available. Alternatively, rock up at one of the 1.200 campsites across eight designated areas in the park’s southern end - or hole up for the night in a yurt, lodge, or wood-clad ranger cabin. Get the shot: Head here in autumn to see the dazzling colour change of the Sugar Maples and Red Maples - or visit in spring for assured moose sightings. Throughout the year, the viewing deck at the Visitor Centre for your best bet for shots of the wild Algonquin landscape. It’s all smooth skating at the UNESCO-listed Rideau Canal - the iconic waterway that turns into the world’s largest naturally frozen ice rink during the winter. Open for 24-hours a day between January and late-February (weather depending), the nearly five-mile-long Skateway (equivalent to 90 Olympic sized rinks) begins just steps from Canada’s Parliament Buildings and stretches all the way south to Dow's Lake Pavilion. Skating here is free, and if you don’t have your own gear you can rent blades from the downtown and Fifth Avenue entrances. Along the way, you’ll find heated log chalets for boot changes and food kiosks for hot chocolate, apple cider, and Ottawa’s famous BeaverTail pastries. The rink attracts thousands of skaters daily and is maintained by a 24-hour crew who fill in cracks, drill holes in the ice, and pump water onto the surface to ensure it stays skate-friendly at all times. There’s also skate patrollers, first aiders, and a coloured flag system to indicate Skateway conditions (green flag means open, red flag means closed). Get the shot: To show the frozen waterway through one single image, look north on Laurier Avenue Bridge (between Elgin and Nicholas Streets) where your view will include Parliament Hill, the National Arts Centre, the Fairmont Château Laurier, and crowds of skaters. At 3,950 feet wide, the honeymoon capital of the Americas may not be the largest waterfall on the planet, but it’s Ontario’s most-visited sight. Created by glacial activity 10,000 years ago, it’s made up of three separate waterfalls (Horseshoe Falls, American Falls and Bridal Veil Falls) that collectively move a staggering 750,000 gallons of water per second over a 167-foot-drop. Best of all, the sight of crashing water and hypnotic mists is seen from every possible angle; from the 175-foot Niagara Sky Wheel and 775-foot observation deck at the Skylon Tower to the tunnels in the rock face behind the cascades. Don’t leave without taking a spray-soaked ride on Maid of the Mist - the legendary boat that has been running 30-minute tours from the base of the American Falls into the basin of the Canadian Horseshoe Falls since 1876. And be sure to allow enough time to explore the Niagara River along the Niagara River Recreation Trail - an easy-to-follow jogging and cycle path that stretches from Fort Erie to the quaint town of Niagara-on-the-Lake. Get the shot: Soar above this natural wonder from the seat of a helicopter. 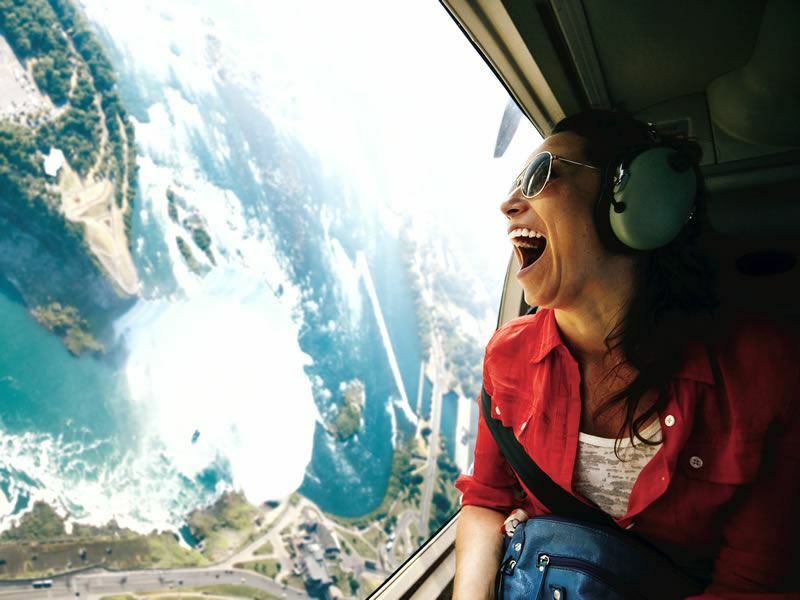 A 12-minute ride costs $140 for adults ($272 for couples) with Niagara Helicopters and includes gorgeous views over the Falls, Lake Erie, and Lake Ontario. For wide-eyed wildlife fans, Ontario’s rolling hills, dense boreal forests, 330 parks, and endless paths and hiking trails can throw up the most extraordinary surprises. Head to Algonquin Provincial Park for moose-safari canoeing trips and bear-spotting, Georgian Bay Islands National Park for tree-climbing porcupines, Massasauga rattlesnakes and more cold-blooded animals than any other national park in Canada, and Pukaskwa National Park for Canadian lynxes and Woodland caribou. Elsewhere, there’s 300 species of bird at Bruce Peninsula National Park, a native population of grey wolves at Frontenac Provincial Park, and rare fox snakes and spotted turtles at Point Pelee National Park. Also trip-worthy is the Haliburton Forest & Wild Life Reserve for its wild grey wolfs at the Haliburton Forest Wolf Centre and the spectacular Wolfe Island for its designated Important Bird Area. Get the shot: There’s around 400,000 white-tailed deer in Ontario, all of which have huge bodies and even huger antlers. Head to the city of Greater Sudbury to spot these huge 300lbs bucks (the average size is 140 to 250 lbs). 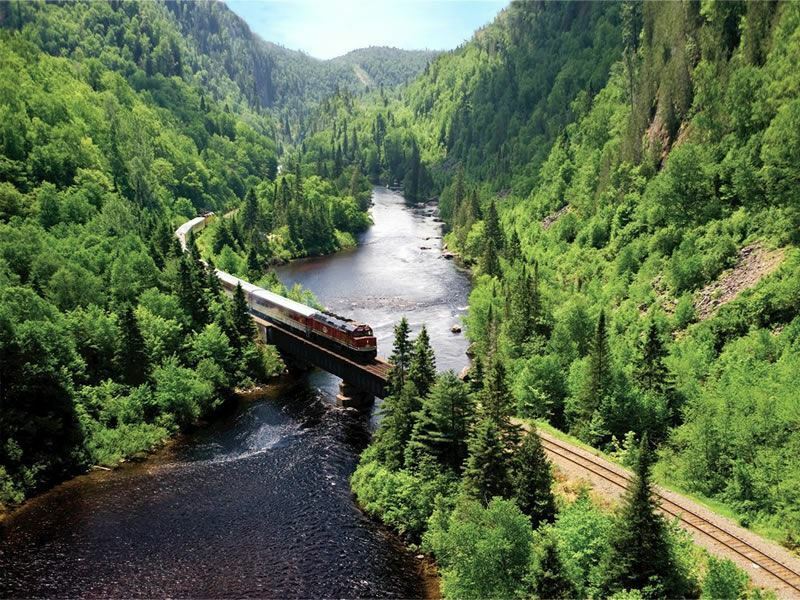 There’s no better way to see the 1.2-billion-year-old Agawa Canyon than from a newly-refurbed carriage on the Agawa Canyon Tour Train. Departing from Sault Ste. Marie, it takes just a few hours to cover the first 200-kilometres of track before you get to stop for lunch and hit the well-marked nature trails leading to four waterfalls: North and South Black Beaver Falls, Bridal Veil Falls, and Otter Creek Falls. After tackling the 300-stair climb to the Lookout (250-feet above the canyon floor), you’re treated to a few more hours of scenic views; expect to see towering trestle bridges, pristine lakes and rivers, granite rock formations, and the vast forests of the Canadian Shield. Typically setting off at 8am and returning at 6pm, the Algoma Central Railway offers one-day tour trains to the canyon in late September and October for the changing colours and in December, January and February for the snow. All carriages come with mounted digital cameras with flat-screen monitors, and GPS-triggered tour narration in five different languages. Get the shot: The carriage windows are large enough to frame the northern Ontario wilderness that inspired the Group of Seven - the 1920’s group of Canadian landscape painters. Be sure to get your lens flat against the glass, switch your camera to action mode, and shoot fast. There’s plenty to attract have-a-go adventurers to this triangular-shaped park that protects the continuation of the Niagara Escarpment as it drops underwater at the tip of the Bruce Peninsula. Just offshore from Tobermory, Canada's first National Marine Conservation Area not only serves to protect and display 20 uninhabited islands, 22 shipwrecks and several historic lighthouses, but it also conserves one of the most pristine freshwater ecosystems in the Great Lakes. The diving here is excellent; expect clear waters, ancient rock formations, and a superb collection of shipwrecks - most of which are schooners, barges and steamers dating back to the mid-1800’s. Those who prefer to keep their feet dry should visit Flowerpot Island, the most famous part of Fathom Five’s terrestrial area that’s only accessible by boat. Here you’ll find a loop trail that starts at Beachy Cove and continues past the two 60-foot “flowerpots” and onto the lighthouse - a steel tower built in the 1960’s to replace the lighthouse that was pushed from the cliff. 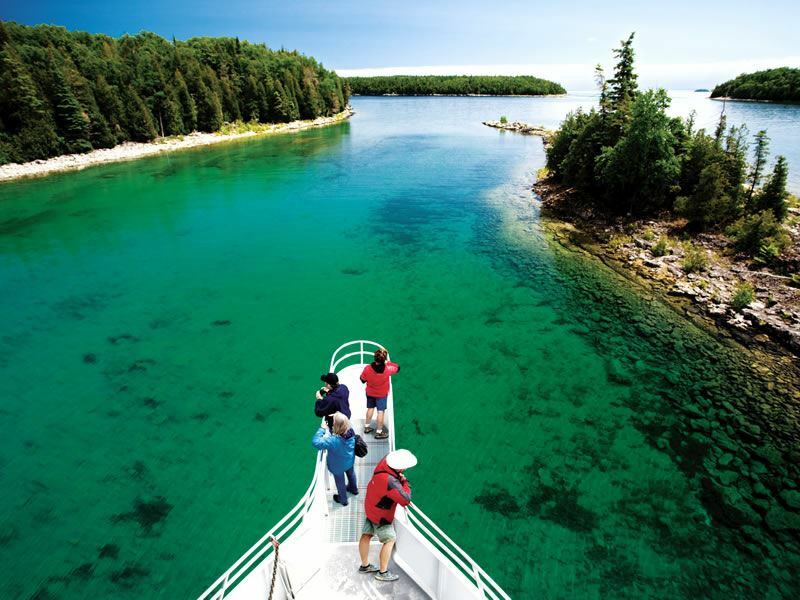 Get the shot: If you’re not keen on plunging into the deep, guided Flowerpot Island glass bottom boats operate tours to the shipwrecks three to six times daily. Two hours is usually sufficient for a quick walk around the island, but four hours is required if you want to see it all. So remote that it can be accessed only air, Ontario’s largest and most northerly park is a pristine wilderness measuring nearly 24,000-square-kilometres in the Hudson Bay lowlands. 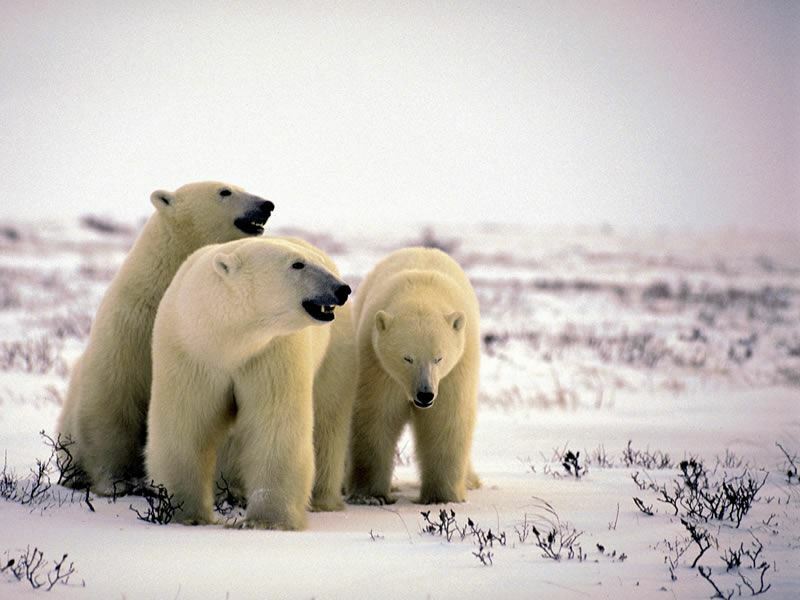 Established in 1970 to protect its subarctic and low arctic habitats, it’s home to over 200 polar bears as well as caribou, bearded seals, walrus, white whales, black bears, red and Arctic foxes, moose, Canada snow goose, Arctic loon, and northern phalarope. Admission to the park is very restricted (only those with a special permit are granted entry) and since no permanent structures are allowed, there’s only two accommodation choices: teepee or canvas tent. The authorities make a huge deal of visitors preparing themselves correctly for the tough challenges - even asking you to carry an extra weeks’ supplies in case the poor weather conditions leave you stranded here for days. But for the determined few, the pay-off is amazing - especially in mid-autumn when the polar bears gather the bay’s shores, waiting for the sea to freeze. Get the shot: If you’re only here for the polar bears, November is your best bet. Either capture the action from above on a floatplane or hit the tundra to see them gather near the Hudson Bay area before migrating towards the frozen northern parts of the sea in search of seals. Just a mere two hours’ drive from Ottawa, this spellbinding yet under-the-radar archipelago on the Canada-US border is dotted with exactly 1,864 tree-filled islands that span both banks of the St. Lawrence River. The result is a nature-lover’s paradise fuelled by endless shorelines, lush green forests, season-specific activities (summer for boating, swimming, scuba diving and fishing, autumn for the changing colours), and as much island-hopping as time allows. To grasp the sheer beauty of the place, it starts with the water; either on your own boat or on a guided tour. 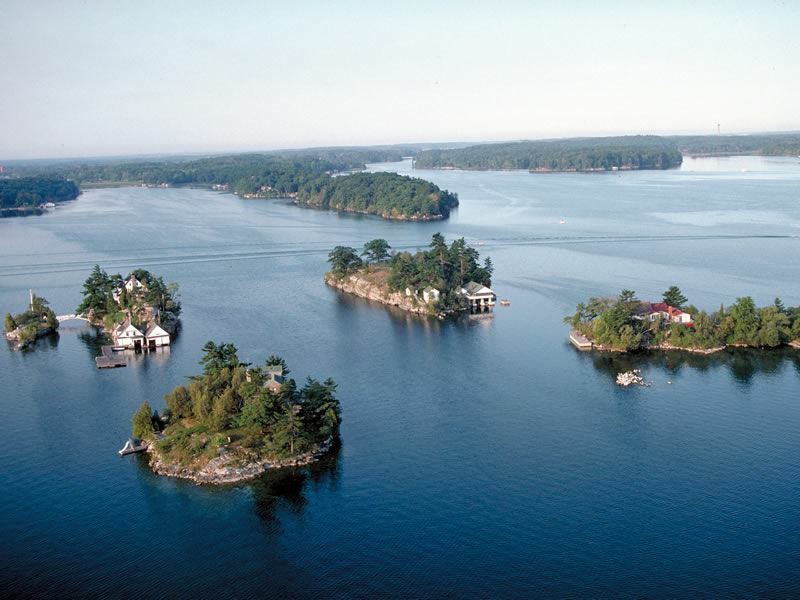 Must-dos include learning the tear-jerking history of Boldt Castle on Heart Island, marvelling at over 300 restored boats at the Antique Boat Museum in Clayton, hiking the miles of trails at Wellesley Island State Park’s Minna Anthony Common Nature Center, and sampling award-winning reds and whites along the Thousand Islands-Seaway Wine Trail. Get the shot: Built by hotel magnate George Boldt in the 1800’s but abandoned when his wife suddenly died, the love tragedy of Boldt Castle is best understood from 1,000-feet above the (heart-shaped) ground. 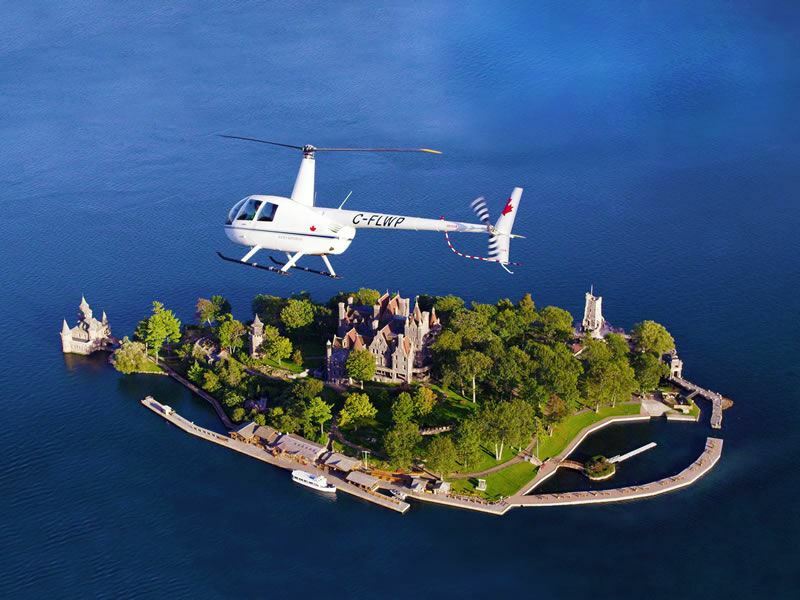 1000 Islands Helicopters Tours charge $149 for a 20-minute flight.